We hope that you are way past the install and update related issues with iOS 10 on your iPhone and iPad. As with other new iOS updates, Apple tends to change things around. 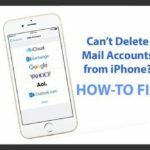 We at Appletoolbox have received many emails as well as comments around the functionality for deleting multiple mails and messages. The old familiar Trash All functionality that you used to see in iOS 9 at the bottom right hand corner has now been removed in iOS 10. That is one of the reasons you cannot find Trash All in iOS 10. 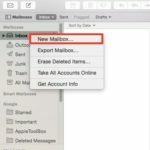 If your mail is defaulting to archive instead of delete, there is a way to change these settings. 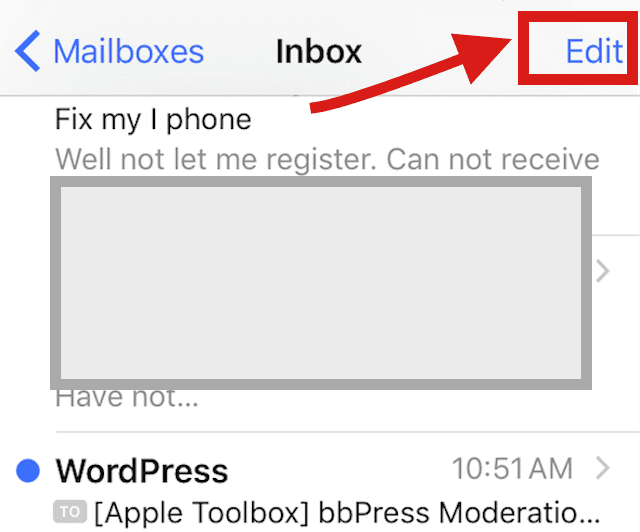 Making this relatively simple change makes deleting emails a heck of a lot easier than iOS’s default way (as listed below.) And though it’s not a true Trash All in iOS 10 and gets us a bit closer to our previous iOS Mail experiences. 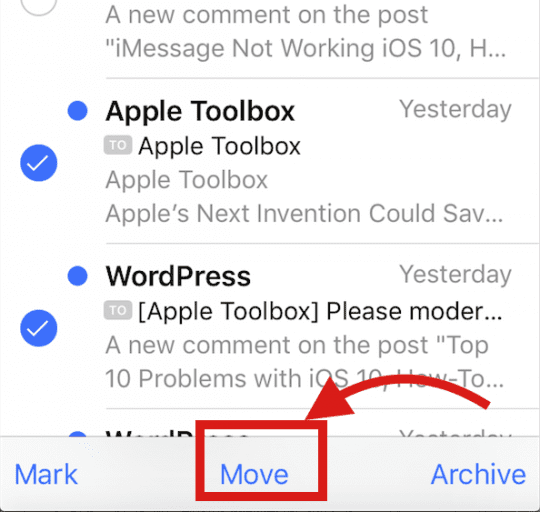 Follow Step 4 for each of your email accounts and make sure to update the”Move Discarded Messages Into:” from Archive to Deleted Mailbox. 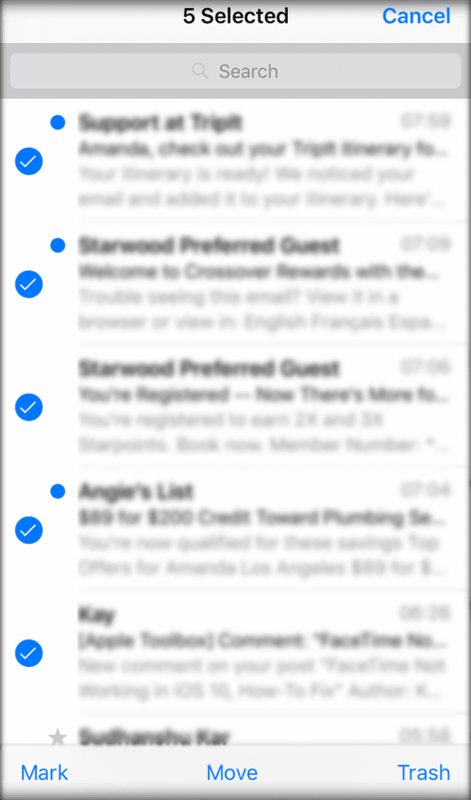 Now, when you swipe on individual emails inside the Mail app, the red trash option appears in the far right. Additionally, when using the Edit option you are now able to select multiple emails and trash them in one go. We shouldn’t have to go in and make all these setting changes to get the trash and delete settings iFolks are so accustomed to! And we hope that Apple is listening and looking at this feedback. So consequently, make changes to future iOS releases for this functionality. But currently, the default iOS way to do a Trash All in iOS 10 is a convoluted multi-step process. To be fair, their brilliant Apple Idea behind removing trash all was to make sure that we do not accidentally delete e-mails/messages. Well…that wasn’t much of a problem for most of us…So, without further ado, introducing the crazy, convoluted, and frustrating Apple TRASH ALL WAY! Third Step Next, Select all the emails that you want to delete. Unfortunately you have to do this one by one. Fourth Step at the end of step 3, you have finally marked all the emails that you want to move to trash. Next tap on “Move “ at the bottom middle of the screen. Fifth Step this should bring you to a screen with all your mailboxes. Choose the “Trash” folder and all the emails will be moved to trash. We think that this workaround is pretty convoluted and will require some getting used to unless Apple makes changes. 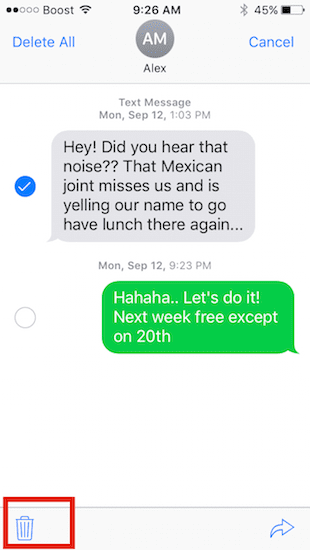 Since we are on the subject of “Deleting”/ “trashing”, we want to show you the steps for how to delete a single message from a thread of texts in iOS 10. We received a few e-mails and comments on this subject from some readers. This is another element where there have been changes in iOS 10. In order to delete a single text from your outgoing text messages, you will first need to press and hold on a message. Next, Tap on More in blue letter at the bottom of the screen. On the next screen, you can choose the delete icon to delete this single message or choose “Delete All” shown in the top left corner. Please share the tips with your friends and loved ones who may be just updating their iPhone and iPads to iOS 10. If you have a better tip, please feel free to share it with us in the comments below. 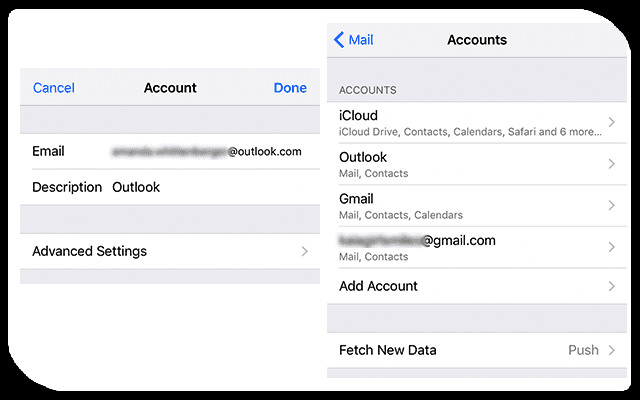 Once you set the Advanced Settings > Move Discarded Messages Into > Deleted Mailbox, you should be able to swipe to delete your emails. Since you tried this already, let’s perform a forced restart to reset your iPad. Hold both the Power and the Home buttons at the same time until you see the Apple logo. Then release. 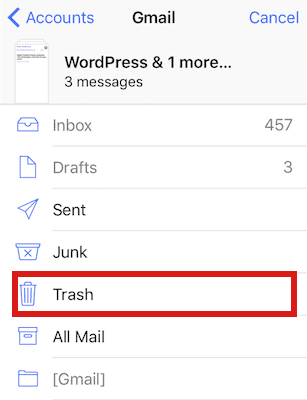 Open Mail and see if the behavior is now showing Delete or Trash when swiping. If not, return to the Account > Advanced Settings and make changes if needed. If nothing worked, reset all settings to get things back to baseline. This action doesn’t remove data but it does remove passwords and any personalized settings. Go to Settings > General > Reset > Reset All Settings. 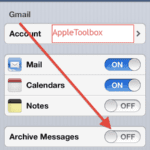 Once you reset all settings, you will need to return to your email accounts and update mailbox behaviors. I hope one of these tips works for you! Let us know. And if not, I’ll discuss further with our team. Removing the “Trash All” option for junk mail was a rookie mistake, Apple. Bring it back ASAP, please! I have tried all the suggestions out there. 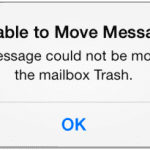 Edit, select, move to trash only to receive the message “Unable to move message. The message could not be moved to the mailbox Trash”. I have swiped it to trash. Same message. I have turned off the phone and let it sit for a while, turned it back on, went through the same procedure, however, the results are the same. I have even deleted the mail app only to have to set up all the settings again. There has GOT to be an easier way than this! This is ridiculous! Makes me want to go buy one of the “pay as you go” phones and not have to worry so much about all of this mess! I really miss Trash All. I have my email come in on all three of my devices (MacBook Pro, iPhone and iPad). I have to be able to file them on my MacBook, but frequently read them on one of my other devices. I average 135 emails everyday. Selecting them one by one requires 270 taps/day to delete. If I’m gone for a week, that’s almost 2000 taps. What a waste of time and energy! Please bring back Trash All. Wtf are apple thinking of. 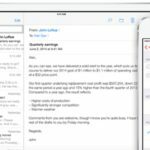 It annoyed me for years not being able to delete all my emails in the inbox in one go, then they introduced it in iOS 9. Hurray I thought. Now the fwits at apple have gone backwards and removed this option. Apple I am one pissed user! I ditto the request to bring back trash all. It was very efficient and trading that important feature for twinkles and balloons seems pretty juvenile. Adult users want it to work not just play. Thanks, Laura, your tip works – a bit clumsy though and I sure wish apple would just bring ‘trash all’ back. Well can you please bring the trash all function back? I have over 1600 old emails that I cannot just trash at the click of a button. 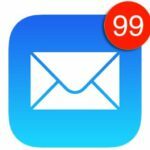 I don’t have time spending hours clicking each and every email to trash. Tap “Edit”. Tap “Mark All”. Select “Mark as Read”. Tap “Edit” again. 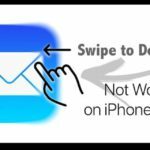 Tap and select top email. Tap and HOLD “Move”. 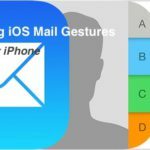 Deselect selected email with your other finger. New window pops up with Trash available. Select it. It will move all the emails to Trash then you can delete all. Thank you so much Laura.This is an excellent tip! 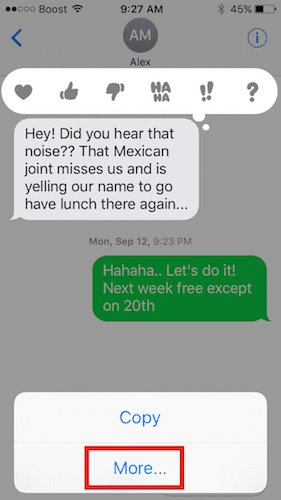 Roxana, We just tested this on iOS 10. When you Save the pdf document, it allows you to save it into Notes. While saving it in Notes, you can add some text to qualify this Note. By default, when you save this, it gets saved into your iCloud Account. In order to retrieve and open the pdf, Tap on Notes > Folders > Tap on Notes under ICLOUD. You should see the pdf link there. When you tap on it, it will open a screen with the pdf link. Double tap in quick progression and it opens up the PDF. Let us know if you are still having issues. Good luck!